Today's friday Freebie is coming in a day early (lucky you) since I'm off later to the fabulous Radisson Blu in Fujairah for the weekend... yay!! So since the last weeks card got such positive feeback, I thought I would increase the freebie to beyond weddings. 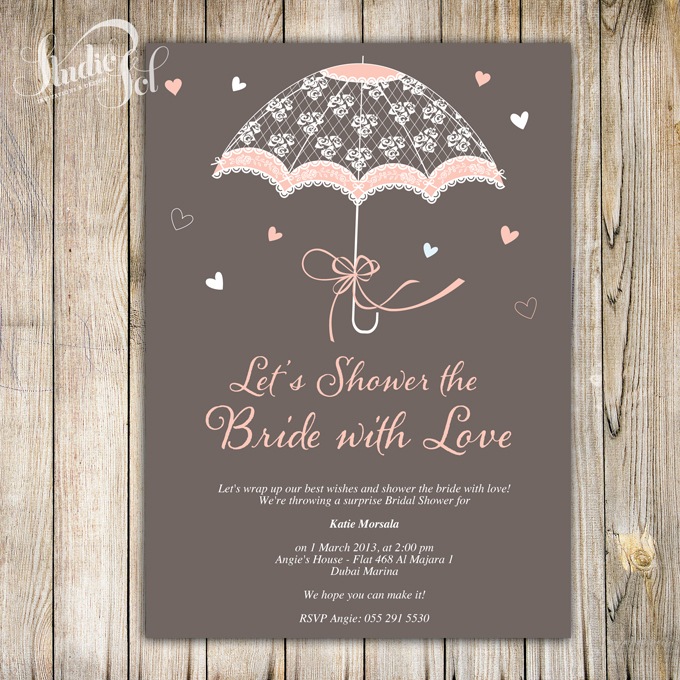 More on this to come next week, but for this week I have designed a whimsical and cute bridal shower invite. The PDF is completely editable in Acrobat Reader - just click where the text is and fill in your own details. There are 2 pages one with the text on it already and one blank - both however are actually editable. Have fun, and dont forget to share with all your friends, especially if you want them planning your amazing shower for you! !